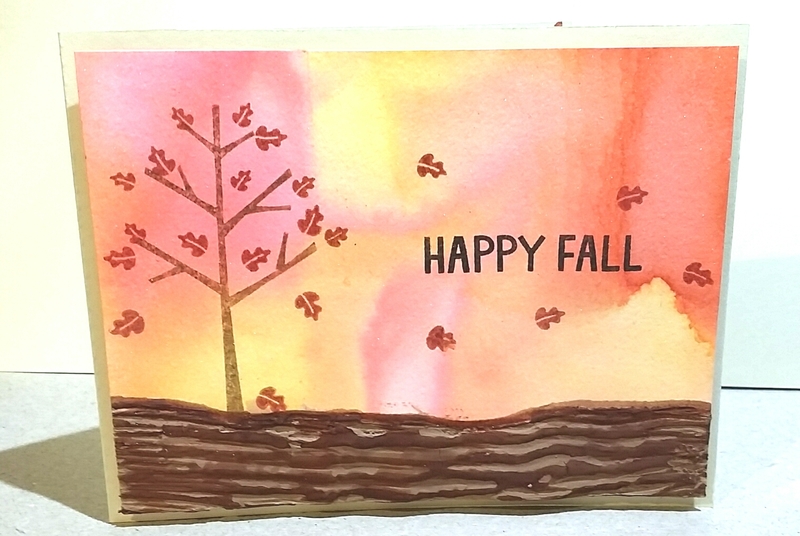 Yesterday was the first day of fall and, even though it hardly feels like it in AZ, I wanted to make a fall themed card. Luckily I had the perfect stamp set for the job! Lawn Fawn’s Sweater Weather stamp set has a great fall tree and some sweet sentiments . I made the background using distress inks and misted Hawaiian Shores Luster Spray Mist on it. The tree and leaves were done using distress inks and the stamps from the set. The sentiment was stamped with pigment ink because I wanted it to stand out more. I live near quite a few farms and around this time their fields look like neat lines of endless mud. 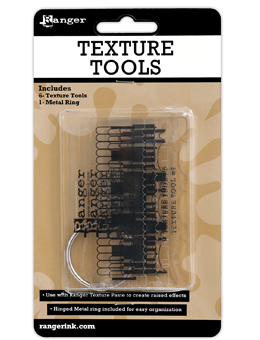 I am in the process of designing texture tools for use with modeling paste, texture paste, heavy paints, etc. So, I thought this would be the perfect opportunity to give it a try. I ended up mixing spackle with brown acrylic paint and laying it on the card using light pressure with my new tool. If I had pushed down all the way, the lines would have gone all the way down to the cardstock. To give it extra dimension, I ran one of my brown alcohol markers across the top. I stamped a little on the inside using the argyle pattern from another Lawn Fawn Set. I definitely should have practiced with those stamps before stamping inside the card. It’s a little more sloppy looking than I would have liked. I hope you enjoyed seeing what Fall looks like around my neighborhood! Thanks for stopping by.